The New York Times has named an heir apparent to run the paper, and he's from the family that has run it for more than a century. Arthur Gregg Sulzberger, 36, was named deputy publisher on Wednesday, positioning him to succeed his father, Arthur Sulzberger Jr., 65, who has been publisher since 1992. A.G. Sulzberger, as he is known, represents the fifth generation of the family to help run the paper since his great-great grandfather Adolph Ochs purchased it in 1896. The promotion was quicker than expected. A year ago, Sulzberger Jr. had announced plans to name a deputy publisher and eventual successor in 2017. The Times reported that A.G. Sulzberger was one of three members of his family who had been considered for the deputy publisher position, along with his cousins Sam Dolnick, 35, and David Perpich, 39. The paper said A.G. Sulzberger was chosen by a seven-member committee, part of a selection process intended to ensure an even playing field for family members. A.G. Sulzberger has worked as a national desk reporter and a reporter and editor on the metro desk, the paper said. He has also worked with leaders on the business side on newsroom strategy, including leading the team that drafted The Times' 2015 "innovation report," which laid out the paper's plans for its digital future. 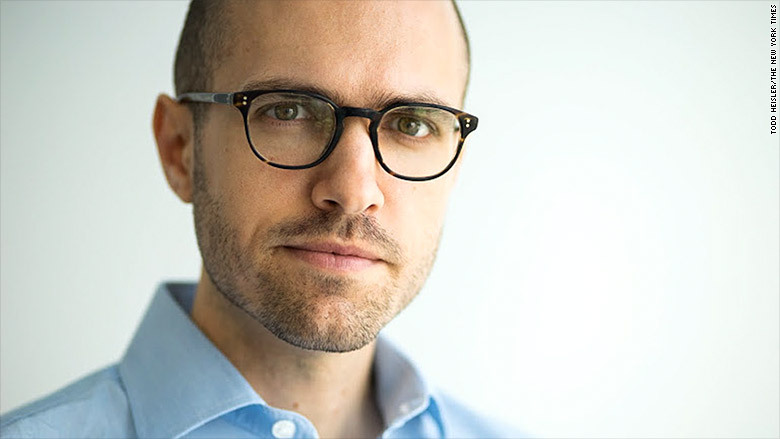 A.G. Sulzberger, 36, was named deputy publisher of The New York Times. A.G. Sulzberger joins management as The Times wrestles with the transition to digital media. It recently dropped its NYT Now app designed to attract a younger generation of readers. The paper cut about 100 staffers from its newsroom through buyouts and layoffs in 2014. Its story announcing his new position confirmed that another round of downsizing in the newsroom looms early next year. The Times has won 119 Pulitzer Prizes, more than any other news organization. Recently it disclosed tax filings suggesting that Donald Trump took a $916 million loss in 1995 that allowed him to avoid paying any federal income taxes for nearly 20 years. It also broke the story of two women who accused Trump of kissing and groping them without their consent. Trump's lawyers demanded a retraction and threatened a lawsuit, but the paper stood by its story. The New York Times Co., the holding company that owns the paper, is publicly traded. But a special class of stock controlled by the Sulzberger family gives it voting control over the company. Shares of New York Times Co. (NYT) are down 14% this year.